I think one of the main reasons that I love the holidays is because you get to spend time with family over a meal. Yes, I am a lover of food but a meal just tastes better when you are surround by friends or family. So when it starts to cool down I fire up my oven and cook. Sometimes I make tried and true easy homemade recipes, other times I create something new. 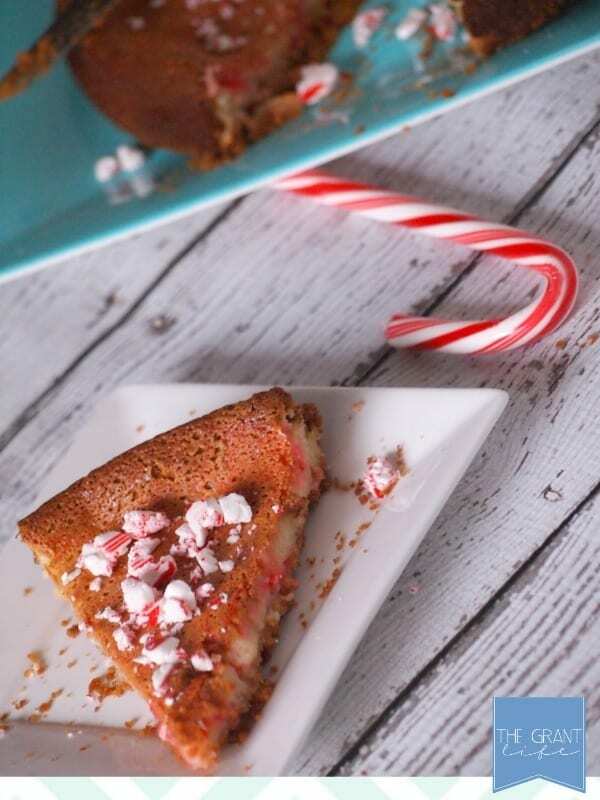 For this peppermint cheesecake, it was a completely new recipe for me. I’ve never made a plain cheesecake. Well, not plain. 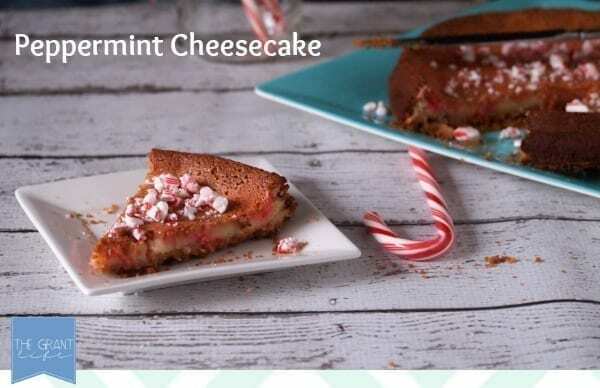 I’ve never made a peppermint cheesecake before. I’m happy to say that now I have, and that I’m glad my mom and husband were around to help me eat it! Preheat the oven to 300. Spray a springform pan with PAM Cooking Spray. Mix the melted butter, the graham cracker crumbs and the brown sugar together until moist. Press the mixture into the bottom of the pan to form the crust. Next, cream the sugar, cream cheese and peppermint extract in a medium mixing bowl. Add the eggs one at at a time and mix until blended. Pour over the crust. Add a few drops of the red food coloring and swirl it around with a toothpick. Bake for one hour. 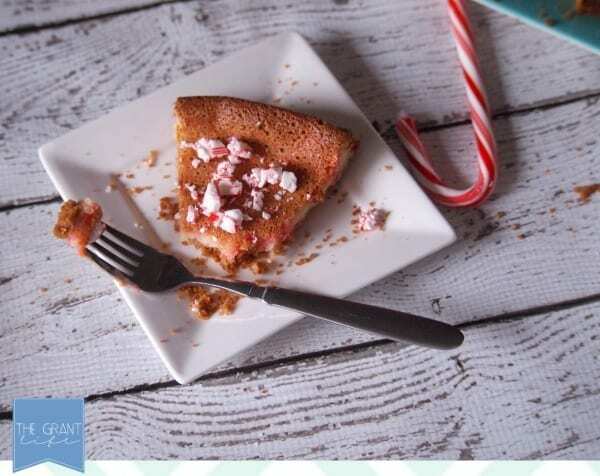 Top with crushed candy candy canes. Either way, I would say that my first cheesecake was a success. My mom agreed and my husband ate half of it the next day. I didn’t ask him, but I’m pretty sure he agreed as well. Spray a springform pan with PAM Cooking Spray. Mix the melted butter, the graham cracker crumbs and the brown sugar together until moist. Press the mixture into the bottom of the pan to form the crust. Next, cream the sugar, cream cheese and peppermint extract in a medium mixing bowl. Add the eggs one at at a time and mix until blended. Add a few drops of the red food coloring and swirl it around with a toothpick. 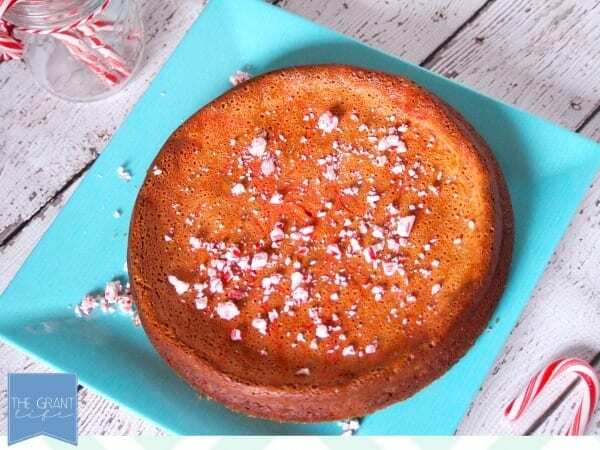 Top with crushed candy candy canes. Let cool for one to two hours. If you are using a regular pan, bake at 325 or 350. My favorite holiday treat would have to be my sisters homemade caramels! Hey Diana! You won the giveaway! Can you please email at [email protected]? Congrats and thanks so much! This looks amazing!! My favorite holiday treat is the Scottish shortbread that I’ve been the “designated baker” of since I was probably about 10 years old. It’s simple but it is SO SO good. I only make it during the holidays. Ohh! That sounds good Sarah! You’ll have to share the recipe! Yum! Looks delicious! That is a hard question to answer, but I love homemade fudge! I love baking any kind of cookies – with peppermint and usually chocolate included. Oh my goodness this is a recipe combining two of my favorite things. My favorite holiday treat is Pineapple casserole. Oh man is it bad for you but delish. 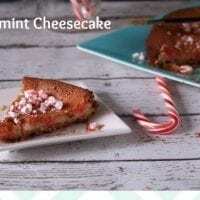 Love me some cheesecake and peppermint! This is right up my ally! YUM! Thanks for sharing Kel! My favorite holiday treat is pumpkin pie. But it has to have a TON of whipped cream on it. Not very exciting, but I really do love pumpkin pie. 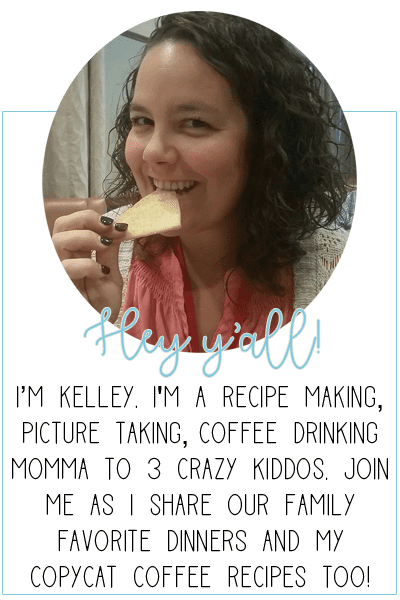 Kelley, you’ve been rocking the foodie posts lately. This sounds delicious. 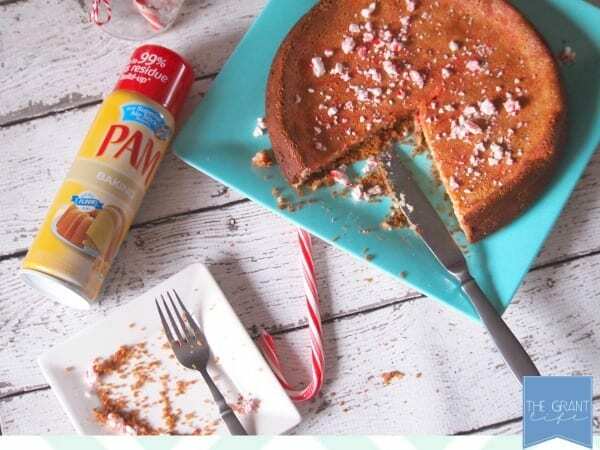 I think I’ll hit up my mom for a bottle of peppermint extract for Christmas (it’s hard to find here in Costa Rica) and get my bake on!